You didn’t know before now that Samsung, one of the giant phone companies, South Korea based is into building military armored tanks. Well, According to Military today, the company did not receive much of attention and lost a contract to Hyundai Rotem on supply of wheeled armored tanks to South Korea. Samsung however since 1999 manufactured K9 for South Korea. The K9 Thunder is a South Korean self-propelled 155 mm howitzer developed by Samsung Techwin for the Republic of Korea Armed Forces. It was developed to supplement and then replace the K55 self-propelled howitzers in South Korean service. K9 howitzers operate in groups with the K10 automatic ammunition resupply vehicle variant according to Wikipedia. 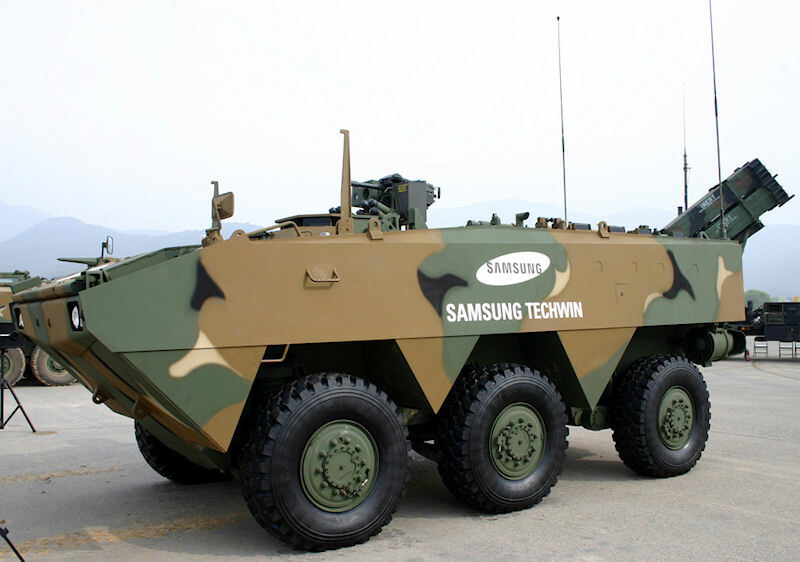 The wheeled tank produced by Samsung for the contract was called Samsung Techwin MPV (Multi-purpose vehicle). It was not the first move by the tech company to test the water in producing military weapons, but Hyundai Rotem company was chosen over Samsung and Doosan in a south korean contract for armored tanks. Hyundai (Hyundai Rotem) makes war tanks for south korea – K1 88 armored tanks, which is the main battle tank of the country. You may want to look at the features of the armored tank manufactured by Samsung for the contract. What does other phone companied have under the hood ?. Well stay close while i get digging.